A new scheme is being launched in West Oxfordshire to recognise sports and arts clubs that are inclusive and welcoming to disabled people. West Oxfordshire District Council has worked with local disabled people to develop the scheme to help clubs reach out to people of all abilities and encourage more disabled people take part in sports or arts. 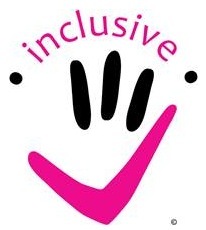 Clubs that meet criteria set out under the scheme will be issued an ‘Inclusion Symbol’ (pictured) to display at their premises, on websites and in publicity, to show that they are recognised as inclusive. The first three clubs in West Oxfordshire to receive the symbol will be announced at the West Oxfordshire Sports Awards 2014 ceremony on Monday 31 March. Other clubs are being encouraged to apply to the scheme via the District Council’s website www.westoxon.gov.uk/leisure. There are around 300 sports and arts clubs in West Oxfordshire. Cllr Richard Langridge, Cabinet Member for Communities, said: “A lot of work has been going on in West Oxfordshire to break down barriers and ensure that people of all abilities have equal opportunities to participate in sports, arts and leisure activities. The West Oxfordshire Sports Awards are run by the District Council in partnership with the GLL Sport Foundation and will take place at Witney Lakes Resort. In addition to the Inclusion Symbol recipients, awards will be given to 28 local sportspeople who are performing at county, regional or world-class levels. They will receive funding from £100 to £1,000 to help towards their sport as well as training membership to Council-owned leisure centres in West Oxfordshire.